The initial reason I became interested in the novels of “Mark Rutherford” (aka William Hale White) was because of his way of being a Christian. Ever since his expulsion from theological college, he never felt himself to be an actual part of the Christian Church. He could not break away from some core Christian convictions and ideas, but nor could he go to church. He said this often, and even to his children. Yet as we all know, his books and letters and journals are full of religion! Specifically, his work is full of an inward, lifelong, and also extremely well informed struggle with Christianity as he had received it in orthodox Dissent. For myself, as a member of the Mark Rutherford Society and as a Christian minister whose life has come straight up against reality, reality which is a brick wall in relation to so many common aspirations for happiness and satisfaction, William Hale White’s work is a courageous and almost unflinching engagement to deal with reality, yet from a Christian point of vantage. The fact that Hale’s life story was filled with “reality”, with sorrow and impasse, makes his religious grappling with that reality enormously appealing or convincing, and also instructive. In the light of Hale’s struggle, combined with his refusal to give up the relation of his struggle with traditional Christian ideas and hopes, I have also become affected over the last couple of years by the music of George Harrison. ‘George Harrison!’ you say. ‘ I thought he was a Hindu.’ He was. Harrison left his childhood Roman Catholicism quite early, and in mid-career as a Beatle adopted the teachings of the Bhagavad Gita as the mainstay of his life. This is visible in everything Harrison wrote and composed from the 1970 classic album “All Things Must Pass” right on through to the last record he worked on, entitled “Brainwashed”. Not only is Krishna the hero and be-all of Harrison’s work, but Jesus gets some nice mentions, too, as time goes on. Harrison was something of what we today call a “Gnostic Christian” toward the end of his life, although he prayed to Krishna right to the end. 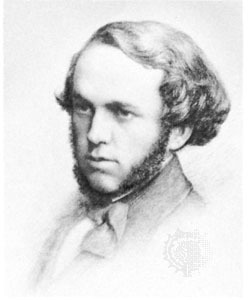 Where the comparison of William Hale White, who had an allergy to “theosophy” and almost anything resembling what is today called “New Age” or “Eastern” spirituality, with George Harrison is interesting lies in the fact that both were “bruised reeds” in relation to Western orthodoxies, yet both were religious Englishmen. What White would find in Spinoza — a universal form of acquiescence and resignation in the face of natural law and the givens of life and nature over which human beings seem to have little control — Harrison would find in the broad sweeps of “Eastern”-style resignation. Both men were drawn to theories of controllessness, both were receptive to universal ideas of God found in the life of Jesus as they understood it, and both were on the distinct margins of conventional Western religiosity. May I add one more “boundary” figure? 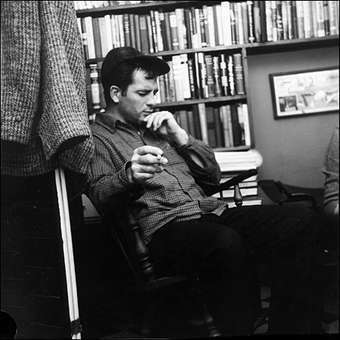 This is the quite hot (just now) American novelist Jack Kerouac, whose classic novel On the Road had its 50th anniversary in 2007. Kerouac is the subject of a massive and authoritative exhibition in 2008 at the New York Public Library on 42nd Street and Fifth Avenue. Many people think that Kerouac was a Buddhist. He was a Buddhist, for a period. But he was also a Christian of broad sympathies, who returned very passionately to the Roman Catholic Church toward the end of his life. Like his near contemporary Andy Warhol, Jack Kerouac was a “hipster” artist who was actually interested almost solely in Christianity. On the margins of American literary culture, Kerouac wrote about religion, and never stopped writing about religion. When you realize that religion, first Christianity, then Buddhism, then, later, Christianity again, is the core theme of Kerouac’s several novels, not to mention his journals and also the great many oil paintings he created in later years, then you can spot, again, an artist of the highest quality who, like “Mark Rutherford”, was portraying reality, indeed the suffering reality of life, in the context of Christian ideas. All this is set out systematically in an elaborate new “coffee table” book produced for the New York Public Library and written by Isaac Gewirtz entitled Beatific Souls: Jack Kerouac on the Road (Scala Publishers London, 2007). As a Christian minister and an admirer of William Hale White, I am fascinated by the comparisons that such an exhibition evoke, and not to mention the work in music of George Harrison. These three were all religious men, to their toes. Each had left formal Christianity. Each also, however, was attracted to Jesus and his teachings, in relation to the sufferings and transiency of life. 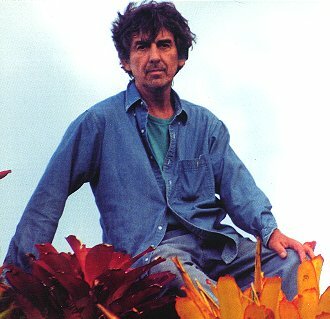 I have recently told my Episcopal congregation, in Washington, D.C. , that I wish I could imagine a conversation of Hale White with the later English artist George Harrison — Harrison was so mild-mannered that I think Hale would have listened to what he had to say — and also with the American (French-Canadian) writer of “stream-of-consciousness” novels Jack Kerouac, who could not ‘shake’ his Christianity nor fully embrace it (except at the very end). Aren’t you interested, too, within our secular era, in artists who refused to throw out the ancestral religion completely but were also locked in the normal life struggle with suffering and transiency? After all, Christians of any stripe, and possibly religious people of almost any stripe, are wanting to ask questions of reality by which the possibility of God, or even just some universal essence of love, call It what you will, can co-exist with reality. I see “Mark Rutherford” locked in a pretty big struggle to bring things together in the light of Christianity, just as George Harrison was fixed upon religion as the dialogue partner with all life as he perceived it, and just as Jack Kerouac observed the world through his acute sensorium in the light of his religious quest. The contrast between Dickens and the younger White is interesting to me. Although White was a bit later, both were dealing with a common Victorian crisis of faith. Yet White's almost total lack of humor and Dickens ability to see humor in the midst of great suffering is telling. I think it may have something to do with a Christianity that still believes in the resurrection, and one that tries to somehow carry on without it. I did a readings course in Hinduism when I was in seminary. I enjoyed reading the Mahabharata and the Bhagavad-Gita. Great story. Further, I was somewhat surprised at some parallels in the spirituality. (I could never be sure how much of this was optical illusion because of the will of a translator to make it appear so.) Salvation through devotion to the incarnation of the deity. Hmmm. (Hmmm is not to be confused with Ommm here!) There was at least a profound recognition that for things to be fixed, God had to come down in the form of a man and make sense of it all. This struck me as being closer in form to us than many supposedly Bible-based groups where Jesus is an afterthought. Rather surprising, whatever the significance. solarblogger, that is an important insight you mention regarding Hinduism and the "incarnation." If "incarnation" is somehow related to "salvation" in Hinduism, how does it jive with karma, which, as I understand it, is pure "what goes around, comes around"? Maybe "incarnational" Hinduism is closer to the Christian view of grace than is "karma" Buddhism. But I know next to nothing about both. Karma in Buddhism isn’t an active judgment in Buddhism so much as a descriptive setting forth of a set of natural consequences for good and bad actions. Actions influence one’s character, which in turn serves as the guiding influence determining one’s destiny–very “closed circle.” In Buddhism, the incarnate Buddha comes to teach people how to transform their characters and–by extension–destinies through his teaching and examples. As a Christian, I tend to identify that with Pelagianism or softened versions of Christianity in which Jesus came to teach us how to love one another, or how to be good people. I could certainly see how someone bruised by orthodox Christianity would find Buddhism appealing. It starts with a very honest appraisal of the world’s brokenness and the ubiquity of suffering (life is suffering is the first Noble Truth) and human powerlessness. The Buddha helps people see this by his incarnation, and then he promptly provides them with a path out of suffering through detachment from the world. So the starting-point of Buddhism is similar to the starting-point of honest Christianity (though perhaps more pessimistic about the created order), and the honesty could appeal to someone jaded by a softened mainline Christianity. Yet the response to this brokenness is exactly the opposite, as I understand it.